An average oil price in 2015 will probably be in the range of $60 to $80 a barrel, say leading Russian politicians and bankers talking at the Gaidar Economic Forum in Moscow. The Head of Sberbank German Gref suggests oil will return to the level of $60-70 a barrel in the near future. "I do not believe it will continue to be low at $40, but it may stay at $60-70 for several years," Gref told reporters at the economic forum in Moscow Wednesday. "The oil price of $25 put forward by the Emirates won’t last for long. The deeper we fall today, the faster the rebound will be," said Gref, adding that it’s impossible to keep the price in the range of $25-35 a barrel at the current output level. 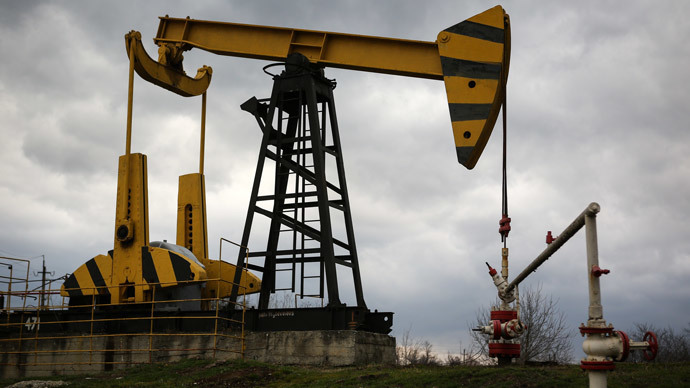 Gref believes the current oil prices will inevitably affect the Russian economy. "We will see a reduction in costs," he said, adding that Russia won’t be able to avoid a major bank crisis should oil prices stay at the level of $45-50 a barrel. However, Vedev said that the Ministry will review the forecast no earlier than April. Such prices may lead to structural changes in the economy, and "it’s not necessary that the GDP will continue falling, the structure of the manufacturing industry may change," he said responding to a question about what would a drop in GDP be at a price of $40 a barrel. The official forecast by the Ministry of Economic Development (from the beginning of December) on the reduction of GDP for 2015 is 0.8 percent at a price of $80 per barrel. In late December, Minister of Economic Development Aleksey Ulyukayev said a price of $60 a barrel could lead to a 3 percent drop in GDP in 2015. He expects oil prices to rise in the near future. The recovery of oil will be followed by the strengthening of the ruble, he said to Rossiya 24. "The coming weeks should show how correct this estimation is," he added.